Date Issued: Apr. 19, 1893. 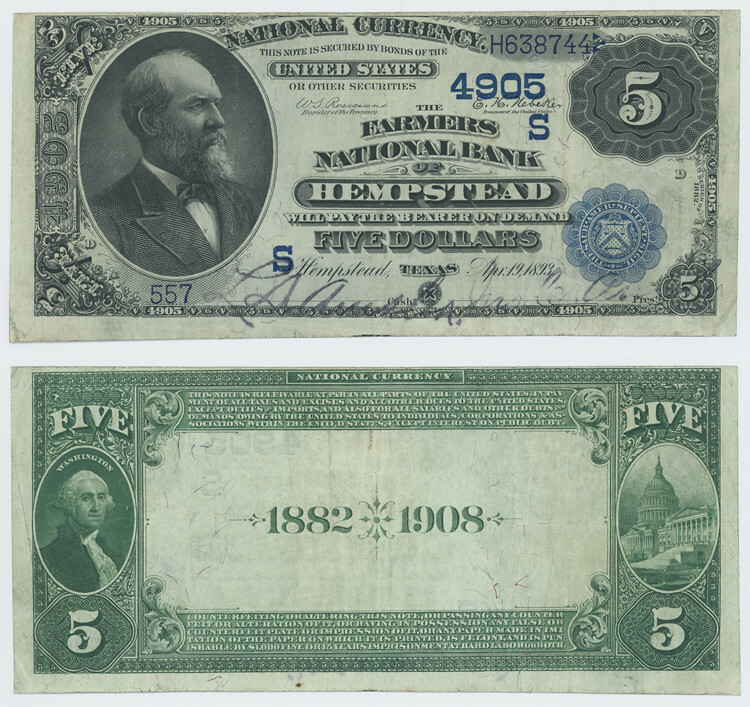 Notes: This $5.00 National Bank Note was issued in Hempstead in 1893 by the Farmers National Bank of Hempstead. Bank serial number: 557. Treasury serial number: H638744. Signatures: W. S. Rosecrans Register of the Treasury. ; E. H. Nebeker Treasurer of the United States. ; [illegible] Cashr. ; [illegible] Prest.